Probably not a curled up snakemolpy, as suggested in the previous NP. I just noticed that on the top of the cliff, at the right side of the frame, the leftmost part (?) 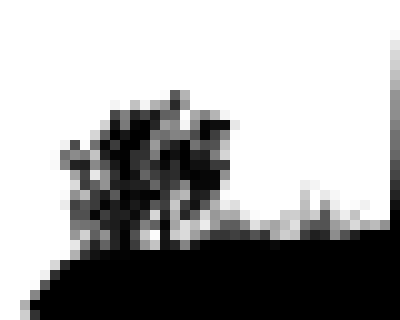 of something is visible (about 20 (vertical) x 1 (horizontal) pixels). Any guesses what this might be? Is it a tree? Is it a rock? Is it already the structure on the mountaintop? And a disappointing message for the rock molpy lovers: no molvement detected in this scene at all. Sounds like an interesting book, charlie! Kazza3 wrote: <snip> I don't think I can take 'neat' seriously anymore! Me neither - too many manips with Megan saying "Neat!" charlie_grumbles wrote: Ah, the vagaries of Time and the unfairness of fate. akacat has been thrown forward to the top of NP1000. I suppose Fluffy will have to fly if the code monkey tries any popishness. I also thought NP1000 flew by in a flash, but we were there for over 40 minutesh. Anyway Let the record show, BlitzGirl is the One True Pope of NP1000. Thus it is written. Thus it shall be. From now until the end of Time. The Old One has spoken. Thanks! I actually don't mind very much, as my post is still currently on Newpage 1000. I'm more concerned about being shunted back to 999 if pastposts are deleted/merged. I was Mome in placement and name for the top of 1000 for a very short Time, but it was the Time that mattered. TimeLurker wrote: BlindPost from NP1002. I missed this Pope Proclamation, but wanted in on it. I first saw the comic on dip 1 and an early newpix. Cuegan were still just sitting on the beach. I went to the forum, as I always do when I don't understand XKCD, and there wasn't a lot of discussion yet. I just *shrugged* and moved on with my life. I also have a habit of looking into the forums and seeing what low numbered comics where commented on recently (thinking "Why would someone bring that back up again? "), so I noticed that 1190 was almost always at the top of the list. Finally I said, "Alright let's see what this is." When I pulled up xkcd.com/1190 again I saw Meagan jumping a dune, "Wait, I don't remember that", so I went to the OTT I had no idea what I was getting into. The outside would never have let me do an actual blitz, so I watched the wiki gif of the entire sandcastle/fade era and skippedH to the journey. I lurked there for awhile before being drawn into our madness. This has been a great experience and actually the only online forum I've every posted or even really looked at. From others' comments on how this place is so different/better/nicer than the rest of the interwebs, I feel blessed to have stumbled out of the shadows here. We love you too! The thread is better for having you with us. And congrats on your first ONG! And when you give it to someone now, you'd present a present present present. "present present present present present present present present present present present present present present present present BlitzGirl! BlitzGirl!" Oh good. I missed that kind of madness. Every pixel is special. Further instructions are available at the signature. 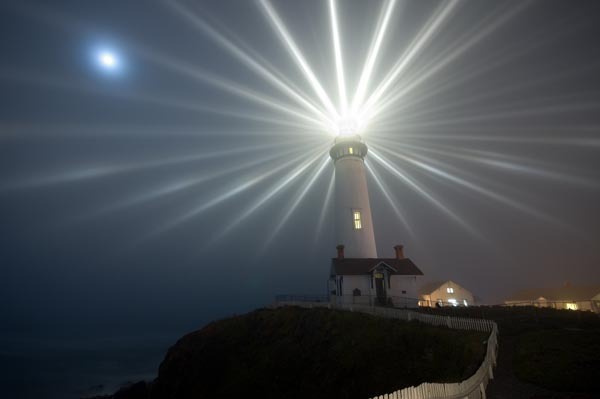 Have reached it, and that beacon is brilliant, in the sense of shining brightly. *rubs eyes* And in other senses too. While I'm posting, I'll also express my sorrow that I was not here for newpage 1000, but also my appreciation of BlitzGirl's 1000th page Present Present (finally found myself at the bottom of the last zero; it took awhile!) and yappobiscuits's Boom de Yada recording. charlie_grumbles wrote: Anyway Let the record show, BlitzGirl is the One True Pope of NP1000. Thus it is written. Thus it shall be. From now until the end of Time. The Old One has spoken. I quite agree -- I thought about adding a small ETA to my post to reflect that. I think I will. mikro2nd wrote: Don't know that anyone else's noticed, but waiter MobTeeseBoose seems to have vanished. Do you mean their user page is gone, or they just aren't shown viewing the forum? If it's the latter, they do tend to blink n and out. My 200th! I brought two small presents to commemorate the occasion. One is a past present, that reflects my feelings about the early OTC (though with plenty of hyperbole added); the second is a present present, that reflects more of the cheerfulness and irreverence I feel about it now. The present present is all-new. It's an OTTification of a mashup of the song "Of Time Goes By" from the musical "Everybody's Welcome" (but much better known for its role in the movie "Casablanca"), with rap interludes. (The rap is not quite "old school," nor quite "new school," so I suppose you'd have to call it "middle school.") The necessary changes in rhythm and instrumentation are indicated by "(ATGB)" for the old melody and "(rap)" for the rap breaks. They'll still say "yeah" and "neat"
"F***in' anything, how does it work?" That was ch*rping awefulsome! And "The Alt-Text" is still one of my favourite timeodies! Last edited by ZoomanSP on Thu Jul 04, 2013 6:42 pm UTC, edited 1 time in total. Rule110 wrote: My 200th! I brought two small presents to commemorate the occasion. One is a past present, that reflects my feelings about the early OTC (though with plenty of hyperbole added); the second is a present present, that reflects more of the cheerfulness and irreverence I feel about it now. I'm going to be honest, I don't normally read OTTifications because it's... not my thing I guess. But when I heard "rap interludes" I just had to, and it was brilliant! I might have to start reading them all in future. BlitzGirl wrote: Thanks! I know for sure that I didn't get everyone, but I tried to get a lot of OTTers. If I'd actually thought ahead, I would have spent a few days on this, but it didn't occur to me to ottify Othercomic #1000 until today. So I scooped up images from my Boom De Yadas and all the manips I had made and saved, then got a bunch of avatars from recent newpages, then scanned for avatars that were buffyhatted or memorable from my Quest, then collected the smileys made by yappobiscuits for OTTers, plus Vytron's smileys of the Time trio, tossed in a few stickottifications from my unreleased Past Present and several squirpy silhouettes from my screenshots, jumbled all of that together, and just barely finished in Time. No worries. The 1000 pic includes all kinds of OTTers. Plus, your avatar was perfectly suited for the space I needed it to fit! OK, good to know. I don't think I qualify as an OTTer (though maybe I'm kinda undermining that statement by this very post...) I guess I'll just go back to ignoring this thread and maybe drop by in a couple of hundred more pages... cheers! ETA: Yes, you should, Wildhound, you don't know what you're missing! Here's my first try at a Timification. An ottification of Rejazz by Regina Spektor. Didn't even stop the sea when I built a dike of sand. 1 Even though we never saw it. Aah, 'tis so hard to ketchup with y'all here, but I'm really enjoying the journey. It was almost turning into a blitz but when I read the discussion about the difference, I figured that I just need to get this done. It isn't quite. Yet. But now I felt an urge to reply before I could move on. Kinda like when you need to visit the loo. @BlitzGirl: My 600th was 10 pages ago. Too late. I'm sad. yappobiscuits wrote: Present present time! Extended version including the second comic as well as the first. Nicely done! Especially considering the collaboration! Latent22 wrote: Been thinking about the flow of time in the OTC. The obvious answer is that it is arbitrary and at the whim of GLR. But is it possible that it is actually based on the perception of the main two characters Megan and Cueball. As an example when they both sleep so does the OTC and we miss most of the night times. When one of them is forced to stay awake at night we get the slow drag of a nights worth of time with no way to speed it up. We also get the adrenalin boosted frames where Trebuchet bullets fly slowly though the air or the keyboard attack with sub second time between frames. Then their is dialog frames where they the speed is dictated by the natural flow and responses of conversation. There is the leaving of the sandcastle where without Megan and Cueball to perceive it and only their fading memory to keep it alive it fades slowly. So Maybe in some way the OTC is meant to be a way of showing the weird and interesting way we as humans perceive time. Fast at time and slow at times and with missing gaps for sleeping etc. I always check up on xkcd when they are published (or when I get around to a computer if I'm out lurking behind a tree during publishing times), and I immediately figured that something would happen. I kept the frame open, since I figured there'd be an animation of a gorilla or something likewise relevant, but I didn't see anything and soon noticed that Cuegan had changed their position. Since then I have followed the OTT, but only delurked shortly before the Attack. Please, blame me if you must. That's all for now. Molpy on. That's lovely, and a great match with the original! mscha wrote: Not surprisingly, I believe my numbering is the One True one. Let's renumber. Number them according to the second they arrived in public. Okay. Well. Even if you don't start with Jan 1st 1970 midnight but with the #1190's very first newpix release... better pad with a lot of zeroes. We may have to expect always the unexpectable from GLR. I was going to say there are four too many presents to fit the "molpy-grapevine" song. But in the nick of time, I saw the trap. You can't have too many presents! Thanks Zooman! 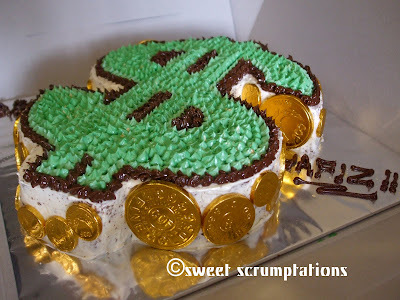 Yum, money cake! Wildhound, thanks! And allow me to plug the wiki which has a list of all the songs and other lists of other creative stuff from the One True Thread so you can pick and choose if you prefer. mscha, the watermark is where all the vitamins are! (That's what people used to tell me when I didn't want to eat some less appetizing portion of a dish that sensible people throw away, like potato skins and the part of the watermelon right next to the rind and the burnt pizza crusts and all. Of course they were right most of the time, but still...) Thanks! I predict dialog in the next NewPix. The Cue Man: I don't know how this works. And I see cakes are in order! ZoomanSP wrote: Any guesses what this might be? Is it a tree? Is it a rock? Is it already the structure on the mountaintop? There is a molpy up there. *"Do they still play the blues in Chicago..."
Except, they had a normal ladder back at the sandcastle, remember? They seem to be pretty familiar with vertical climbing devices. tman2nd wrote: Here's my first try at a Timification. That was... a revelation. Both the original song (which I didn't know), and your version of it. Odd how some of the more melancholy OTTifications have seemed to fit so well, even though overtly there's not very much that's dark in the OTC. Well, okay, there's all the abandoned sites and dwellings... and Megan getting wounded after Cueball talked about how far from home they were... and the possibility of the setting being 11,000 years in the future with much or all of the present world long gone and forgotten... and... okay, so maybe it's not so odd. First I was like, yay, gonna be cake! Then I was all, It's multi-cake! Then I was, It's recursive multi-cake! My favorite! And so hard to find in the bakeries around here! BlitzGirl, did you choose your username because you knew you were going to blitz? EDIT: If that question is too personal, you don't have to answer it. The ladder is confusONG after all, apparently. mittagleffler wrote: BlitzGirl, did you choose your username because you knew you were going to blitz? Not sure if you missed something or are making a joke - BlitzGirl invented blitzing. Happy 400th, pelrigg! Have some (more) cake! I received a request (from the Outside!) for an RSS feed for the latest Time-frames. That was pretty easy to do, so I made one. It is, of course, automatically updated whenever a frame arrives, and contains the most recent 24 frames. Sleeping meowlpy awakens and attacks.So much blood! Anyway, off to an early coma. Molpy down! 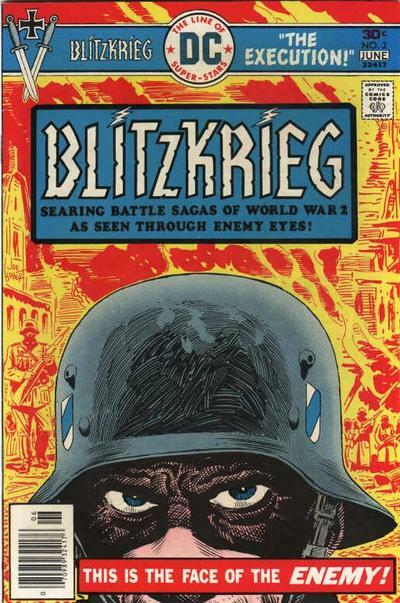 Well, the word "blitz" is an actual outsideH word, for non-German speakers most commonly found in the term "Blitzkrieg" I'd assume. So, the reason why I ask is that I was curious as to whether BlitzGirl signed up here for the sole reason of doing a blitz through Time (thereby inventing the now common verb to blitz) or if she had been posting in this forum previously. Perhaps even blitzing in other threads?! Ahh. Okay. Makes sense. I was pedantically pointing out that the term blitz didn't refer to speeding through the forum thread and I missed that you were asking an actual question. And I guess I should stop trying to answer for other people because she has the best possible response! Though I will point out that her join date is newpix 44001.40 B.T., decidedly prior to the creation of this thread. ChronosDragon wrote: The ladder is confusONG after all, apparently. But their reaction suggests something a bit more challenging. Hmm. It's Monday. I wonder what today's xkcd is? Time. Okay... I don't get it. What's the alt-text say? Wait for it. Oh, I get it; it's a slow animated gif. No, wait, the extension says png. Well there must be a script that'll make it change. But when? One minute? I've been waiting longer than that. Am I supposed to leave the page open for an hour? If I leave the page, it'll reset something when I come back again, and then I'll have to wait all over again. I can only wait for just so long, y'know! Well, I wanted to see it happen for myself, but I can't wait forever. Let's see what Explain XKCD says. Hmm? Explain XKCD is down? Well, I'll Google "xkcd" then. That worked for Click & Drag. Ah, a forum for xkcd. I recall coming across this once or twice before. Here's the thread for Time. Let's see if they've figured anything out. Oh, the image changes, huh? Humm, wonder how long it'll go on? mscha wrote: I received a request (from the Outside!) for an RSS feed for the latest Time-frames. That was pretty easy to do, so I made one. And happy 1800 (wow) to you. BTW, the last frame I got first from your rss, before the feed, or the OTT, or anything. tman2nd wrote: I don't understand what the distinction between The What? Period and The Dark Period. I suggest that maybe they should be merged. (1) Keeping up with the Journey Eon keeps me busy enough as it is. (2) I'm hesitant to change what the Old Ones did. Their approach may have been different than mine, but who am I to say it was wrong? A lot of effort was put into those earlier periods on the wiki and I would feel like an intruder to simply obliterate what they did just because for the last 3 eras I've established a whole new methodology. That said, I do think it would be nice to go back and expand some of those articles with a bit more comprehensive summaries and discussion, but if I did so it would be to supplement what is there rather than replace it. Now, I DO intend eventually to work backwards through the early eras of the Journey Eon and write those Period articles my way, since right now they are all just stubs. But, since I'm getting married in 19 days and my work has really picked up a lot lately... well, it may be a while! The reason why I saw asking is because I was thinking of doing some wiki work myself, but when I saw those first two periods I didn't understand their distinction. Does anybody mind if I merge the articles? On the subject of the meteor frames, I would think that they should have separate numbers. A newpix the time until the next update. I don't think it should matter if that update corresponds to a small amount of outside time. I'm still hesitant about merging them. Honestly, there is even an OTC distinction between the two periods. Those first 8 frames... NOTHING HAPPENS except minor shifting of body positions to let us know that frame changes will be happening. Then, in the 9th frame Megan lies down, and soon Cue goes to dip his foot in the sea, telling us that something substantial is actually brewing. To a first time viewer, especially if viewed each frame a half hour apart as originally presented, the second period (albeit unfortunately titled "The Dark Period") is actually when the action begins. Now, as I've already said, this is NOT how I would have done it if I'd been calling the shots back then. But I wasn't. And while I do think editing those articles to fill in more information would be nice, I just don't feel right completely upending the work they did. Truth be told, the first era currently includes the most complete period articles on the wiki prior to the Discovery Era when I started writing. That said, I ain't gonna put it back if you DO change it. Frankly, I understand good reasons for both numbering systems (2440a-e or 2441-5) and don't care so much which one "wins." I'd really just love some consistency again. If any two of the four sources can find a means of reconciling, I'll throw my endorsement to whatever set of numbers they come up with. I believe some attempts to contact Geekwagon have been made, based on some discussion in the comments on the wiki, but I will try to do so myself later if I have time. Grand Wiki-Master Patzer and I have been discussing it a lot over there, but as many here don't read the comments there, that's why I felt it was a good idea to bring the discussion of here for all y'all's information. That makes sense. I should probably be left the way it is. I won't change it. By the publishers of "Strangers Have the Best Sweets"